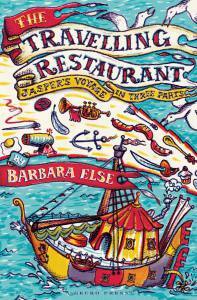 Barbara Else is one of New Zealand’s most successful writers, for adults and children. Her Tales of Fontania series—including The Travelling Restaurant—has been published around the world and her 2018 release Go Girl: A Storybook of Epic NZ Women is a bestseller. 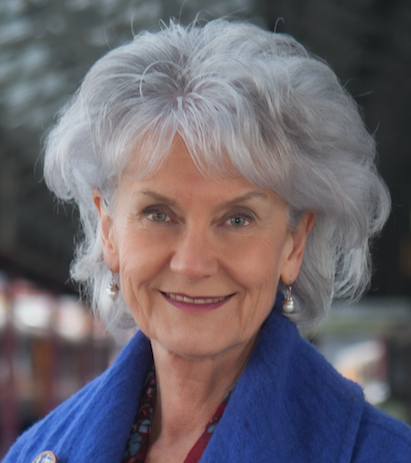 Else is a Member of the New Zealand Order of Merit for services to literature, and has worked as a university tutor, editor and freelance writer. She lives in Dunedin, New Zealand. 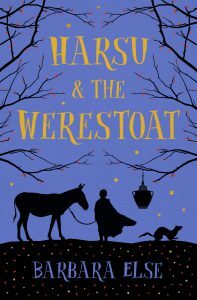 Harsu & the Werestoat, released in April 2019, is a novel for middle readers—part fairytale, part time-travel, all adventure. How did Harsu’s story first take root and become a story you wanted to write? It happened in a roundabout way. In the ancient story of Beowulf, the hero kills a dreadful monster then discovers that the monster’s mother is a thousand times worse. I’ve often thought, if his mother was so terrible, what chance did the poor monster ever have to grow up normal and nice? My own story became one of a boy who manages to choose the right way to live. What makes Harsu a hero for you? He loves his mother and admires a lot about her. But she becomes more and more outrageous and he has to decide where his loyalty should lie. He shows that he is a true hero and has real strength because he is patient and kind to others. In one way Daama is like any mother, me included! She wants to be proud of her child and for people to tell her she’s a marvellous parent. Some of what she says can come out of the mouth of any mother. But Daama takes it all to extremes because she really cares only about herself. She’s terrible-comical, or comical-terrible. After all, she’s so proud of being a descendant of one of the nine thousand descendants of the Wind God! Why is that so special, when there must be so many of them? She thinks she’s logical but—no. When you read your books to children and hold workshops, what kinds of things do you find they’re interested in / what do they pick up on? That junior to intermediate level loves stories where a character has to make difficult decisions. Children that age are also intrigued by how things fit together. They love realising how one bit of a plot causes something else to happen. When I give workshops in shaping a story, they really get into it and can’t write their own ideas down fast enough. What was your favourite book when you were 10? 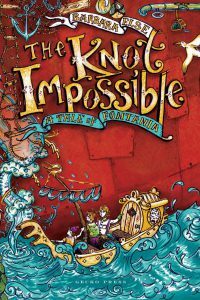 I loved books of all kind—true stories from history, gritty fairy tales like E Nesbit’s, school stories by Enid Blyton, a book called Into the Happy Glade by Trevor Dudley Smith that made me roll on the floor laughing every single time I read it. I especially adored C S Lewis’s Tales of Narnia. My favourite was The Magician’s Nephew — the one that explains how the world of Narnia began. Between all the worlds lies a wood of slender trees and quiet ponds. If you sink into a pond it will take you to a new world. That is a gorgeous image of what happens when we read—we sink into a story and find ourselves in extraordinary places.